Heat a kadai and dry roast the pepper corns. When it starts to crackle, add cumin seeds and roast along with it.Roast till it crackles. Remove them and crush in a mortar & pestle coarsely. In the same kadai, heat 1 cup of water. Torn Betel leaves, Karpooravalli leaves and add to the water. Crush ginger and add to the water.Add grated jaggery if using. Add the coarsely ground pepper+cumin. Boil everything together till the water reduces to 1/2 cup. 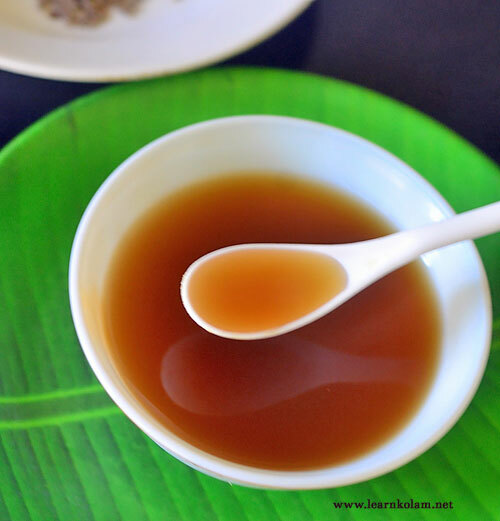 Strain it using a metal filter & add honey as per your taste. Mix well & drink hot ! NOTE : If you have severe constipation problem, use grated jaggery instead of honey. 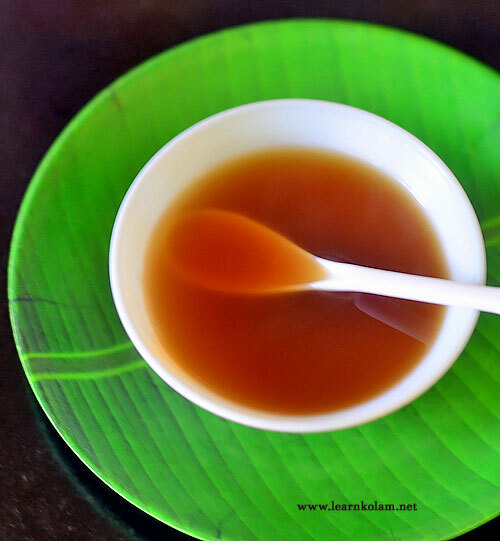 This Kashayam can be had twice a day during initial stages of cold and fever. It is not necessary to have in empty stomach. 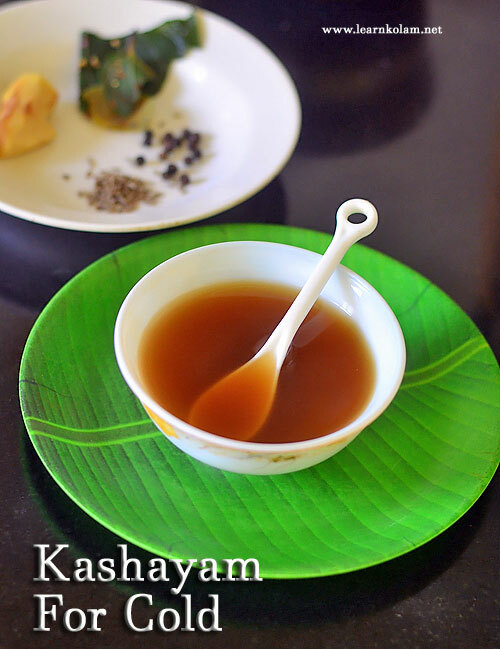 This kashayam is not for complete cure. But It gives total relief from nose blockage and chest congestion. Do share your experience with us if you try this recipe. Thanks ! !